The G86-71400 LPOS features an enhanced key layout for POS and commercial applications. The G86-71400 LPOS are available with or without a 3-track Magnetic Card Reader (MSR) and High Resolution Touchpad. 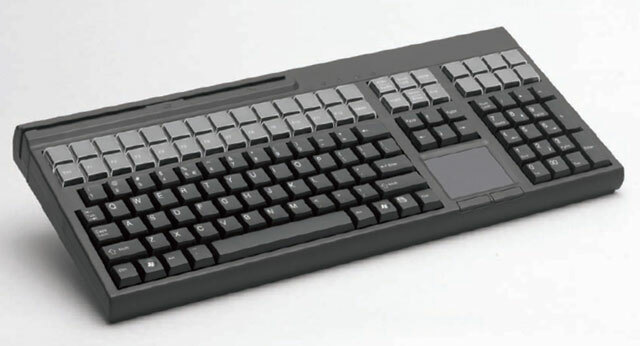 It provides 131-position key layout on models without a touchpad, and 127-position key layouts on models with the touchpad option. All G86-71400 LPOS s feature 42 relegendable keys for easy layout configuration and quick function calls. It also offer free programmability of all key positions in three layers. The Cherry G86-71410EUADAA is also known as CHE-71410EUADAA or G8671410EUADAA	.